Quality bocce sets designed for the serious player, or just fun for backyard barbecues and sunny afternoons at the park, the internationally popular game of Bocce is similar to lawn bowling. 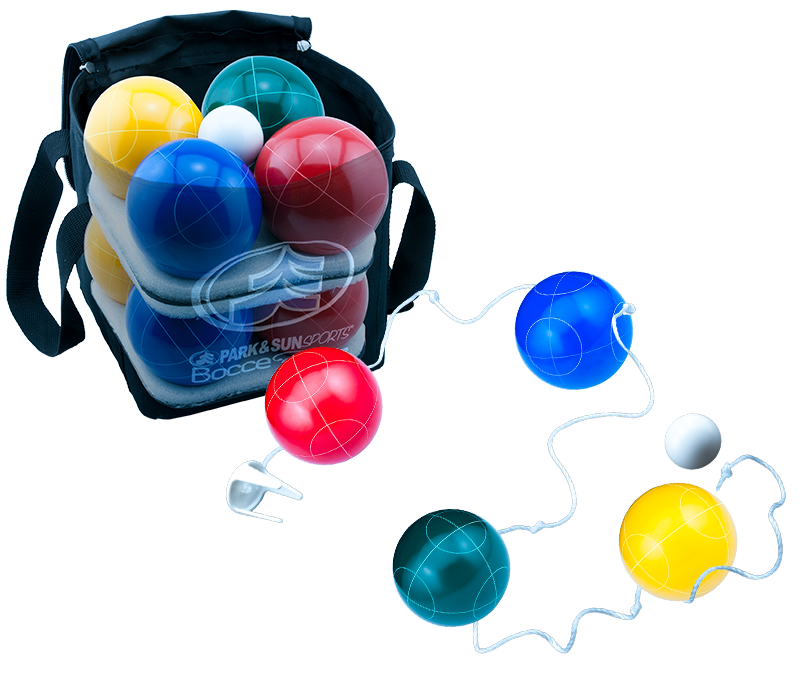 Our Bocce Elite sets includes 8 bocce balls and a white 50mm Pallino target ball, that meets the bocce association’s standard guidelines. 4 colors (2 - Blue, 2 - Green, 2 - Red, and 2 - Yellow) are provided for up to four participating players. Each color has cylindrical grooved lines, and their monolithic outer construction with molded core providing extended durability. 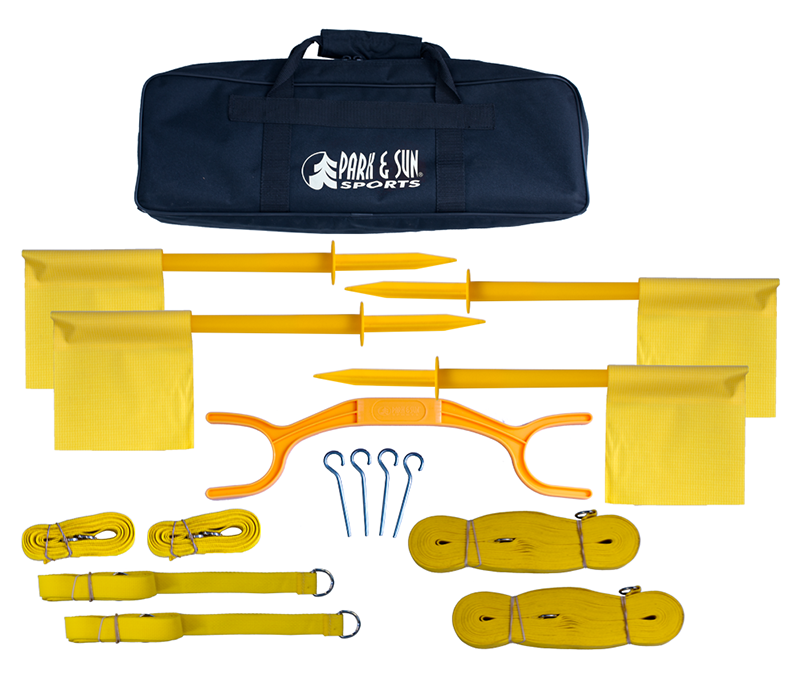 The Heavy duty carry bag with handles offers convenient storage and portability. These sets also include a distant marker and complete set of rules for accurate game play. 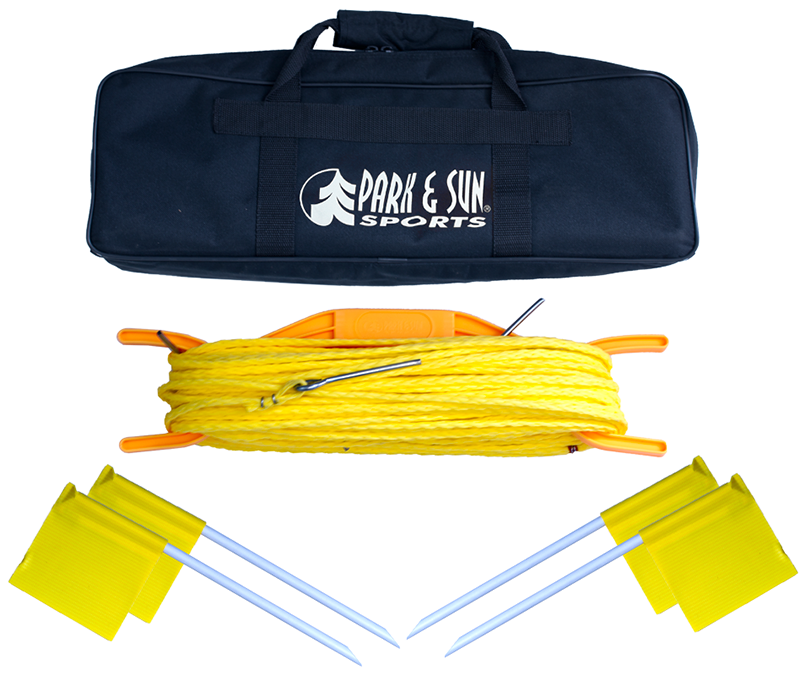 Complete your bocce set, with a bocce boundary, available in webbing or rope, and comes complete with 4 Corner Flags, 1 Handwinder, and 1 Carrying Bag.